AsiaElec’s coverage includes China, India, Japan, Australia, New Zealand, Afghanistan, Bangladesh, Bhutan, Brunei, Cambodia, Indonesia, Laos, Malaysia, Mongolia and Myanmar, Nepal, North Korea, Pakistan, Philippines, Singapore, South Korea, Sri Lanka, Thailand, Timor Leste and Vietnam. This is supported by a network of skilled journalists across the region. 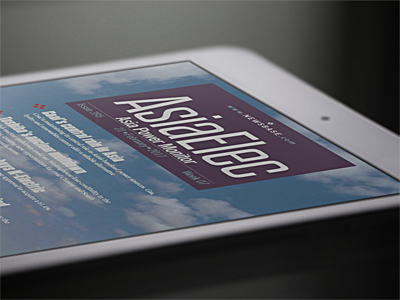 Looking for more AsiaElec articles? Or would you like to find out more about the publication? Keep reading. AsiaElec covers utility-scale power developments and policy across all main industry sectors, including coal and gas-fired thermal power, nuclear, renewables, hydro, combined heat and power (CHP), transmission, grid and storage. It also covers the closely interlinked coal-mining sector. AsiaElec reports on project investment and approval, providing news and intelligence on key developments. This is ideal, not only for investors, developers and competitors, but for service, infrastructure and construction companies, who benefit from knowing where best to make their next key move in a rapidly developing market. If you would like to try AsiaElec we can offer you a, no obligation, free trial, giving you a chance to get to know the publication and get hooked on the quality content. No credit card required. Read our most recent AsiaElec Top Story. "NewsBase Monitors are really good, I will always refer to them because they provide me with the insights I need into the industry"